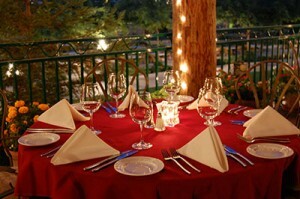 Temecula Valley Wine Country Celebrates California Restaurant Month! Food and wine-lovers are invited to experience California Restaurant Month in Temecula Valley with special prix fixe/fixed-price lunch and dinner menus and other promotions at participating winery restaurants now through January 31. 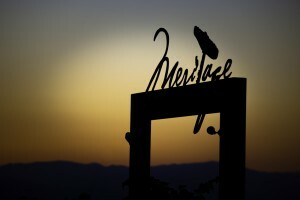 A perfect opportunity to enjoy Temecula wines where they’re made, along with food created especially to pair with them. “This is the unique opportunity-of-the-year to taste the quality wine country cuisine that Temecula Valley’s talented chefs are cooking up at especially attractive prices,” encourages Kimberly Adams, Temecula Valley Convention and Visitors Bureau president and CEO. January is an excellent time to visit the 35+ wineries in Temecula Valley. Less-busy weekdays promise the potential for conversations with the chefs and winemakers. Click here for California Restaurant Month menu & pricing! Plus! On Sunday, January 20th, The Grapeline Wine Country Shuttle’s popular “Vineyard Picnic Wine-Tasting Tour” will feature bonus ‘foodie’ presentations by locally-acclaimed chefs. Grapeline’s Vineyard Picnic Tour includes an informative winemaking tour, wine tasting at 4 unique wineries, and a gourmet picnic lunch in a scenic wine-country setting. California Restaurant Month is a promotional initiative created by Visit California designed to encourage post-holiday, January travel to the Golden State, and to continue to position the state as the top culinary destination. For more details, including City of Temecula restaurant menus and promotions, please see RestaurantMonth.org/Restaurants. 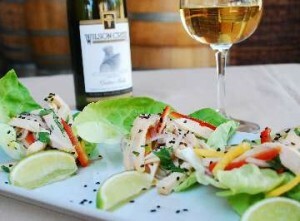 Posted in California Restaurant Month, Wine Country Restaurants, Winery News | Comments Off on Temecula Valley Wine Country Celebrates California Restaurant Month!